A true international star of magic, Flip has been delighting audiences for decades with his enchanting, whimsical magic. He's been invited to lecture and perform for just about every major magician's convention in the world, and his lectures are always greeted with acclaim by all who have been lucky enough to attend. 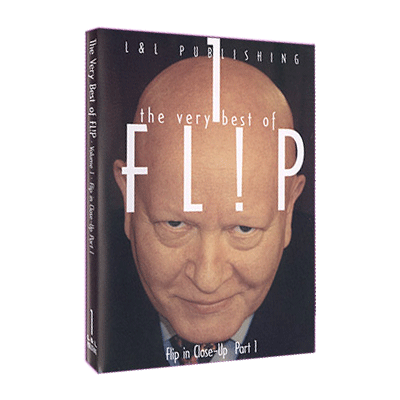 Of course, Flip's place in magic history is secure as the inventor of the Flip Stick, a multi-purpose sleight that allows a magician to vanish any long, thin object instantly and visibly. Contain the very best of Flip's magic routines. - WHAT'S IN A NAME?.